The Economic and Financial Crimes Commission, EFCC, on Wednesday, January 24, 2018, arrested one Fidelis Iruedo, a suspected love scammer, for allegedly defrauded a United Kingdom citizen of £30,000 (N15,428,354) in a romance scam. The suspect, while parading as a lady, procured British passport using the name ‘Tracy Anderson’ with which he used to defraud the victim. 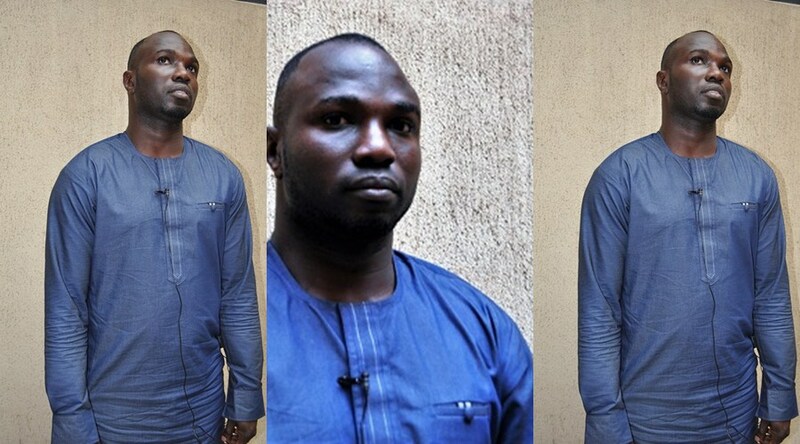 He was arrested in Abuja, during an attempt to make withdrawal in a bank. On arrest, items recovered from him include: several scam letters, 3 flash drives, 1 iphone and a laptop computer. The suspect will be arraigned in court as soon as investigations are concluded.